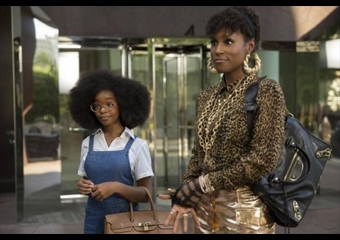 So, "LITTLE" the movie has earned $15.4 million across 2,667 locations nationwide.The movie is led by the trio of Martin, Issa Rae and Regina Hall with Hall portraying a bossy tech guru who changes into her 13-year-old self (Martin) while being harassed by her assistant (Rae). The film, itself, recieved mixed reviews unfortunately. The movie does mark a milestone as a major comedy produced, written and directed by African-American women.